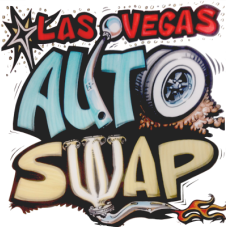 Anyone can be a vendor at the las vegas auto swap meet! business that already have a tin (tax id number) or people who sell are vendors at swap meets more than twice a year have to have a nevada sellers permit, please pre register to guarantee the best available site. you will be responsible for declaring your sales, and handling all of your sales tax. People who want to clear car parts out of their garage can also participate as a vendor. before the sale starts we will give you a form to log all of your sales and sale prices. at the end of the sale you are required to turn in this form whether you have sold anything or not, along with 8.1% of everything you have sold. We will then submit the form and the money to the nevada department of taxation.